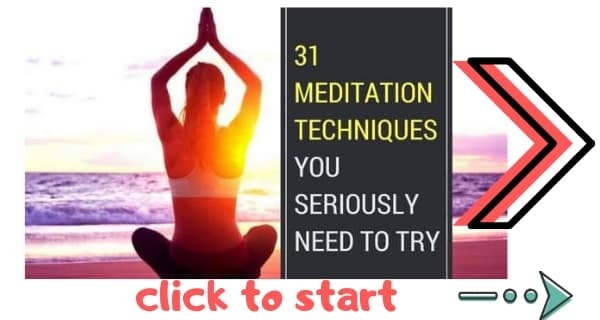 These Zen Meditation Techniques Give You So Many Benefits! Did you know that there are different types of Zen meditation techniques, each with its own benefits? Zen meditation techniques (Zazen) are a variety if Buddhist meditation techniques that are used by both beginners and masters. In this Zen meditation guide you’ll learn how to do Zazen properly so you can experience the benefits for yourself. What are Zen Meditation techniques? Zen meditation techniques are some of the main types of meditation. Zazen meditation are specific techniques that use body positions, hand positions (mudras), and states of mind. I personally love doing all the different types of meditation as they each have different benefits. Doing Zen Walking Meditation, for instance, will give you different benefits to seated Zen meditation. There are specific Zen Meditation positions and it’s a good idea to learn them now. The best way to o this is with my guide to meditation positions. Burmese Position: The legs are crossed with both knees flat on the floor, with one ankle in front of the other but not over. Half Lotus (Hankafuza): The left foot is positioned on the right thigh. This position takes time to adopt comfortably but regular practice will help. Kneeling Position (Sezia): In this position the practitioner kneels with the hips resting n their ankles. *These Zen sitting positions require a meditation cushion (Zafu). This is a special type of cushion that helps you to maintain good posture while also being comfortable. A Zafu is important for both body and mind, because if you do not have a good, comfortable posture you will find it very difficult to focus. And without focus, the meditation simply will not work. A good meditation cushion will elevate the hips in such a way that the knees are lowered to the floor. If you do not have a Zafu you can find one using the link above. And for a temporary alternative you can position rolled up blankets in such a way that they will provide support. The most important thing is that you are comfortable. Some chairs are also suitable for Zen. If you cannot do Zen sitting down, try standing instead. This is a great position for those who cannot sit for a long period of time. It is widely used in China and Korea. Position your heel inwards a little. Place your hands on top of your belly with the right hand held over the left. Make sure not to lock your knees. One of the differences between Zen meditation technique and other forms of meditation is that the eyes are kept open. This is to stop you from drifting off into a daydream. The right way to use your eyes in Zen meditation is to focus on nothing but instead softly guide your gaze to one metre in front of you on the floor. Your eyes should be half open. You may also choose to position yourself in front of a wall or some other object so that there are no distractions. Traditionally, when doing Zen meditation in a meditation hall (a “soto dojo”), meditators would face a wall so that there is nothing to distract them. In Zen meditation technique the position of your neck and head is very important. Your spine is one of the most important parts of your body. And if your neck and head are in a bad position for extended periods of time you could suffer spinal injury. So, to combat this you need to have your head and neck in the right position. Make sure you are balanced and comfortable. You should be able to maintain the position without effort. Zen uses a specific mudra called the cosmic mudra. You can read about this in my guide to Buddhist mudras. Your state of mind is important in all forms of meditation. However, if you do the other parts of Zen meditation technique correctly, then your state of mind will naturally follow. Without the right state of mind you will not get the healtjh benefits of Zen meditation techniques. Acceptance is key, as it always is in Buddhism. You will naturally have thoughts come to your mind when you meditate, as you do with other forms of meditation. The key is to let these thoughts exist. Do not repress them. Do not fight them. Do not cling to them. Let them rise and fall as they will. The key to maintaining the right state of mind is to keep your focus on your breath and to keep the right posture. Yes, thoughts will come. But if you let them be and keep focusing on your breath, you will achieve the right state of mind, the Zazen mind. When doing Zen meditation, breathing technique is very important. Zen breathing is a little different to other forms of meditation. And without proper breathing, Zazen simply can’t be performed successfully. Zen breathing requires that you sit in the right posture (see above). You should then breathe quietly in through the nose with the mouth closed. In Zen breathing it is important the breath is relaxed. It should come in long, calm breaths, naturally, never forced. The focus is on the exhalation. You’ll notice how this is different to other breathing meditations, like Anapanasati. Distractions are the enemy of a good meditation session. The less distractions you have, the more you will be able to focus. That is why Zen monks often meditate facing a wall. However, youdo not need to be facing a wall. You can sit comfortably wherever you like. But be aware that the more relaxing your room is and the less distractions it has, the more successful your meditation will be. For the perfect room, take a look at my guide to creating a meditation space or meditation garden. *This is a kind of Dhyana meditation. It’s the main type of Zen meditation technique. I am going to assume that you know the very basics of meditation. 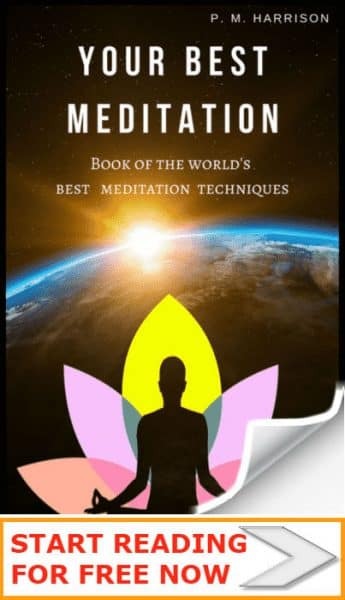 But if you have never meditated before, or if you are new to meditation, I’ve created a guide to the basics of meditation for you. Take a look. When you begin, you should have an idea of how long you will meditate for. And you should have done everything to make sure that you will not be distracted during that time. 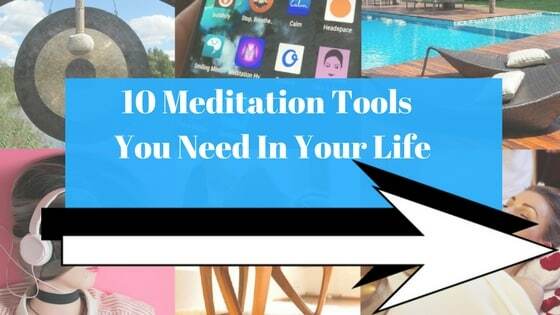 Set an alarm for the end of your meditation session (I’ve created a free online meditation timer for you). Find a comfortable space somewhere you can relax and where you will not be distracted. Place your zafu or zabuton in a comfortable spot. If you are choosing to face a wall you will need to place the zafu about a metre in front of the wall so that your eyes fall to the bottom of the wall when you meditate. To begin, simply relax. You will find it helpful to practice breathing meditation for just a few minutes (for example, you might like to do a quick Nine Round Breathing Meditation). Close your fist with the thumbs tucked inside the fingers, and move your hands so that the back of your hands touches your knees with the fingers up. Take a few moments to get comfortable and to adopt the right posture (see above). If you would like to show respect to Buddha, you can do gassho. This is where you adopt the Anjali Mudra and bow to show your devotion to Buddha. Adopt the cosmic mudra (“Hokkaijoin”) and check your posture (see above). Begin meditating by focusing on your breath and particularly on your exhalation. At the end of your meditation, you may do gassho again. Sit quietly and relax for a final few moments. So now you know everything about the techniques. But what are the benefits of Zen meditation? Maybe you don’t want to do the seated Zen meditation technique. Maybe your cup of tea is taking a walk instead. If so, one of the best Zen meditation techniques for you to try is Zen Walking. This is a really relaxing type of Zen meditation. Sound interesting? Great. I’ve written a tutorial on Zen Walking Meditation. Take a look. The third of our Zen meditation techniques is perfect for the horticulturalist in you. It’s a Zen garden meditation. Have you ever seen a Zen garden? They are beautiful sand or gravel gardens that are used for meditation. In Zen garden meditation, the meditation is the act of creating the garden. Zen gardens are wonderfully relaxing. Read my complete guide to Zen gardens to learn all about them. This is definitely one of the most fun Zen meditation techniques! I hope you have enjoyed this guide to Zen meditation technique. I would absolutely love to hear how you got on. Now another question. 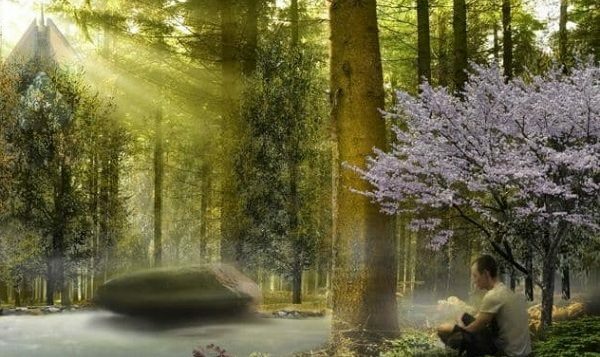 Take a look at these inspiring Zen sayings and proverbs. And let me know. Which is your favorite?